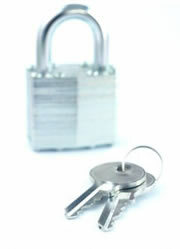 At EasySpares we believe that security is a vital aspect of our website and online business. Thats why you can relax knowing that we go to every effect to protect your information and online transactions. The EasySpares website automatically encrypts your confidential information in transit from your computer to our website using the Secure Sockets Layer protocol (SSL) with an encryption key length of 128-bits (the highest level commercially available). There are also steps that you, our customer, can take to help protect yourself. We'd like to provide you with this information so that we can work together to protect against fraud. Check to make sure the URL begins with "https" rather than "http". Check that the 'padlock' is visible in the status bar.